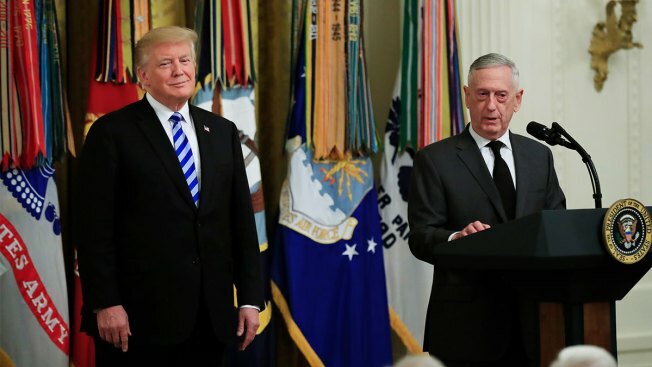 President Donald Trump listens to Defense Secretary Jim Mattis speak at a reception commemorating the 35th anniversary of the attack on Beirut Barracks in the East Room at the White House in Washington, Thursday, Oct. 25, 2018. Defense Secretary Jim Mattis said on Wednesday the White House has given him explicit authority to use military troops to protect Customs and Border Protection personnel, with lethal force if necessary, at the southwest border. This could, under certain circumstances, mean directing troops to temporarily detain migrants in the event of disorder or violence against border patrol agents. "This is minutes -- not even hours" of potential detention, Mattis said, suggesting that he was not planning to use the military to operate migrant detention camps. "We'll keep you posted on any new missions and any new numbers of troops as those decisions are made," he said. "I now have the authority to do more. Now we'll see what she asks me for," he said. "We are not doing law enforcement," he told reporters at the Pentagon. "We do not have arrest authority." 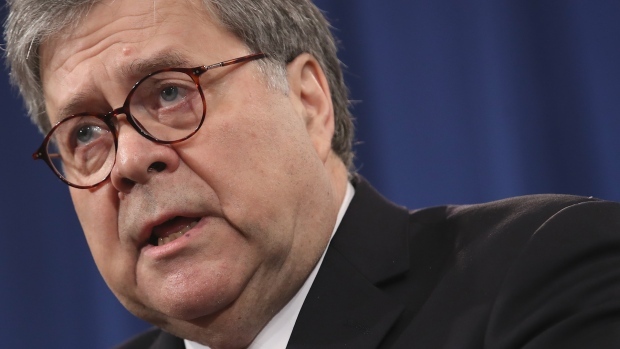 He noted that National Guard troops under state control are also involved at the border, and he said the governors of those states could give them arrest authority. He said there are about 2,100 National Guard troops involved. Mattis said the instruction he received Tuesday was signed by President Donald Trump's chief of staff, John Kelly. Asked by a reporter what legal authority Kelly has to issue such an instruction to the Pentagon chief, Mattis replied, "He has the authority to do what the president tells him to do." It its report to Congress on Tuesday the Pentagon estimated the cost of the mission at $72 million through Dec. 15, when the mission is scheduled to end. It said the National Guard's work, which began in April, has so far cost $138 million. Mattis said he was certain the $72 million figure would go up, but he did not forecast any other total.